List 1: This list shows the websites stocking products with ean code 4242003624166, including seller's product image, product name, product price, last time the product price was updated together with the seller's name. Please note that product prices are accurate as of the date/time indicated and are subject to change. Unless otherwise stated, all prices on this table are listed in £ (GBP). Table 1: This table shows the 4242003624166 product details, including product name, ean code, model number (if available), brand/manufacturer name, category name, product range and latest retrieved price. These details have been updated on 2016-08-17 09:04:03 and where first added to the database on 2016-08-17 09:04:03. Prices listed on this page are subject to change. The model number for Siemens EAN code 4242003624166 is EH679MN27E. 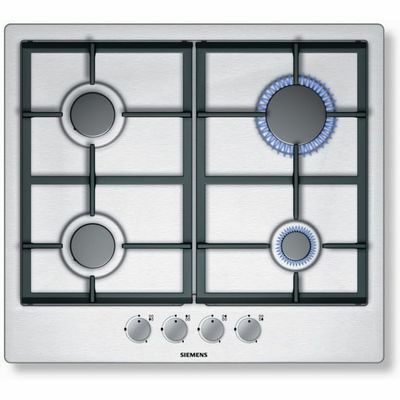 The Siemens EH679MN27E induction hob offers a sleek and clean look for your kitchen. It features 2 standard zones plus a flexible cooking zone allowing you to place your cookware anywhere on the zone for complete cooking convenience. Ultra-efficient induction works by creating a magnetic field between the hob and steel or iron pan. The heat is instant, easily controlled and energy efficient. The EH679MN27E also has a control panel lock as well as an automatic safety switch off for added peace of mind. The electronic controls operate 17 temperature settings to give you a variety of cooking options, plus a power boost setting for that extra bit of heat. Residual heat indicators and a timer for all zones keep you updated at all times. Note: Only use pans suitable for induction hobs. These include: enamelled steel, iron, stainless steel (depending on the alloy) and some aluminium pans with a ferromagnetic base. 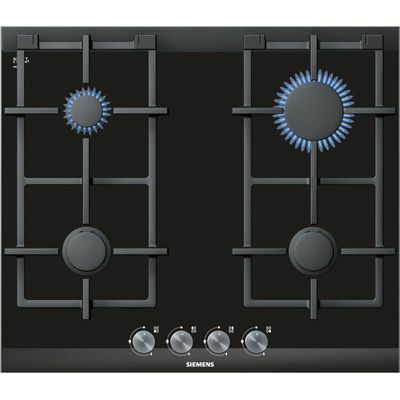 The Siemens EH679MN27E Induction Hob Metal Look Glass EAN is 4242003624166. List 2: This list shows the different ean code 4242003624166 product name variations found on websites selling this product online. Gallery 1: This gallery of images shows the different product images that have been indexed from online retailers sites together with attributed accreditations seller's names. Currently, there aren't any videos associated with ean product 4242003624166. Currently, there aren't any files linked to ean product 4242003624166. 1. 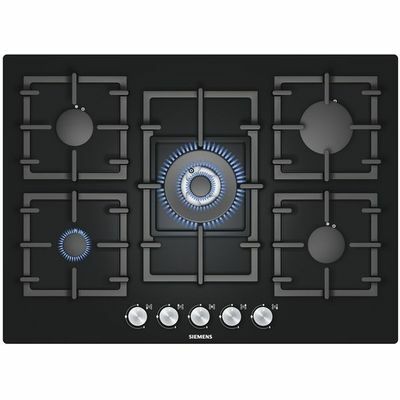 John Lewis website - Siemens EH679MN27E Induction Hob Metal Look Glass product page. Retrieved 2016-08-17 09:04:03.